A misinformation that emanated from the Michael Jackson fan community following his death has travelled across the Internet sites and landed on various books by conspiracy theorists such as Leonard Rowe, Latoya Jackson and Jermaine Jackson. “AEG gets really slick in this promissory note because the note is collateralized not by Michael Jackson the artist but by Michael Jackson Company LLC. Why is this? More than likely it is because Michael Jackson’s business holdings, which would include his publishing rights and catalogue are owned by Michael Jackson Company LLC and not Michael Jackson the artist. So if the promissory note is defaulted upon, the assets of the Michael Jackson Company, LLC get forked over to AEG” wrote Leonard Rowe. “His contract with AEG meant that if he failed to perform, he would be liable for all the production costs and lost revenue, meaning his assets— and most notably, his Sony/ATV Catalog—were up for the taking. If This Is It Tour didn’t happen, AEG could have laid claim to the catalogue” wrote Jermaine Jackson in his book. This misinformation is so ubiquitous that the Conrad Murray Defense attorneys who seemingly rely on online sources without fact-checking often cite it as a fact. They used this misinformation to summon Michael Jackson financial books—which judge Pastor astutely rejected because Mr. Jackson’s finances is irrelevant to the primary causal focus of the events that transpired on June 25, 2009. The defense team, however, begs to differ. 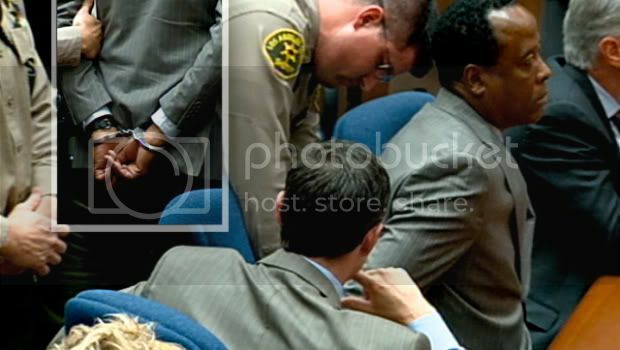 Exclusion of Mr. Jackson’s financial records out of the Trial denied Conrad Murray of a fair trial, they contend and this claim is one of the grounds for their ongoing appeal. “The crux of the defense is going to be that Jackson did a desperate act and took desperate measures that caused his own death” declared lead defense attorney Ed Chernoff during April 6, 2011 court hearing. “Mr. Jackson’s greatest asset happens to be music catalogs. He was actually in more debt as a result of the concert. The Estate has information about what Jackson actually was facing if he didn’t complete these concerts” he continued, hinting that had Michael Jackson failed to perform in O2 Tour—assuming he was alive-- then AEG would’ve foreclosed on his prized music catalogs. “Michael Jackson had backed himself into a corner and had Conrad Murray walked away, not only would Michael Jackson been $400 million in debt, he would have lost the catalog. He would have been penniless” asserted Mark Fierro, Conrad Murray spokesperson, on Piers Morgan Show of CNN on November 29, 2011. Michael Jackson entered into a contract with AEG via one of his many business entities—Michael Jackson Company LLC. Yes, Jackson signed the company assests as a colleteral in AEG contract but Michael Jackson Company LLC does NOT hold ANY of Jackson’s music publishing catalogs. Established on June 13, 2006, it was merely formed for the purpose of restructuring his loans in 2006. For legal formalities. Michael Jackson’s Mijac Catalog is held by MJ Publishing LLC since 1998. His Sony/ATV Catalog is held by MJ ATV Publishing Trust since 1999.
if he failed to perform for 2009 'This Is It' Tour in London is an absolute misinformation. "The ATV shares are held in trust so they could not be in danger. these would only be at risk if MJ Publishing is named in the contract. so it would only be this company's assets that would be in danger. One more point, if there were a claim, it would still have to be tested in court. Only a court could decide if the assets of MJ Company LLC would be forfeited." Finally someone gets it. I wished this article was pasted all over FB so fans could read the facts and get off this false theory that AEG would get MJ’s catalogues. Leonard Rowe is ignorant and his book was a joke. The Jackson’s believe everything Rowe and Oxman tell them. Rowe is an ex-con and Oxman was disbarred.